Dr. Palmer is a co-Investigator on the newly awarded R01 titled “Genetic Modulators of Glaucoma”. The PI is Dr. Monika Jablonski (Department of Ophthalmology in the College of Medicine at the University of Tennessee Health Science Center). The grant will be funded by the National Eye Institute to study glaucoma-related traits in HS rats. 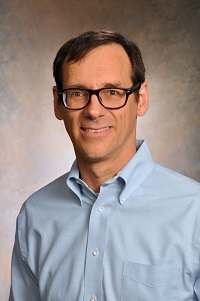 Dr. Jablonski have been collaborating with NIDA center for GWAS in outbred rats led by Dr. Palmer. This grant will fund phenotyping of eyes obtained from the NIDA center, phenotypes obtained by Dr. Jablonski will then be analyzed using GWAS.